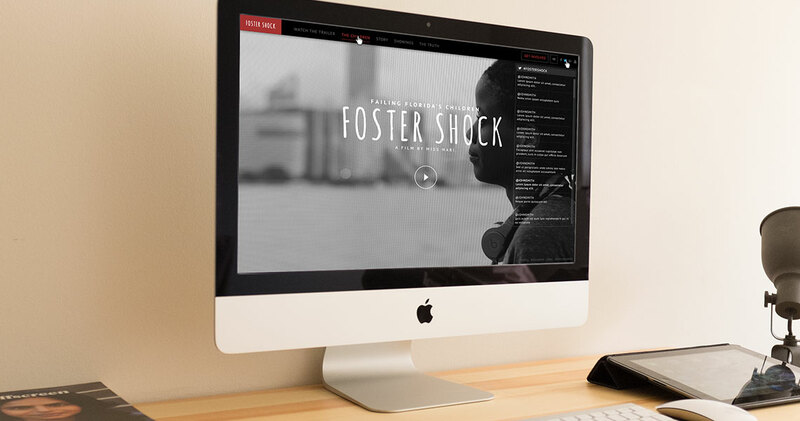 When Foster Shock came to us we were blown away by the stories that came with it. 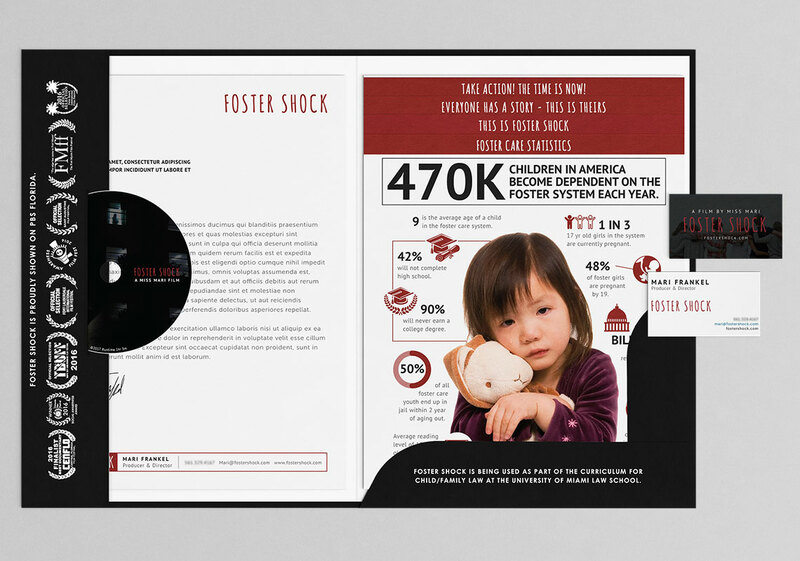 We wanted to help accommodate their long term goal to help develop putting a stop to unwarranted violence against America's most vulnerable children. 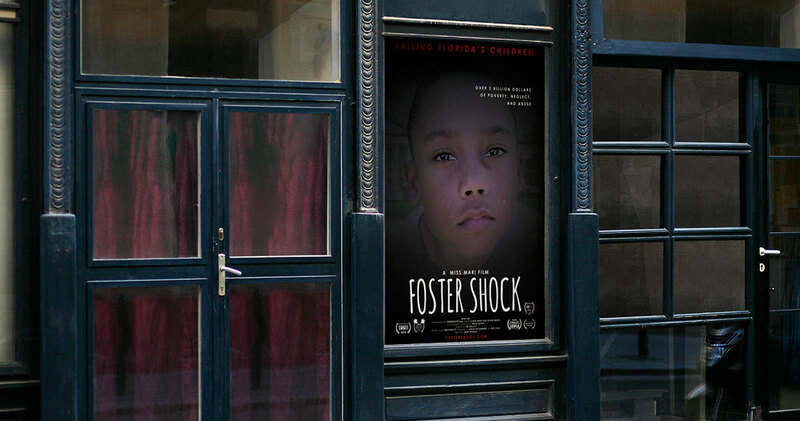 A challenge was the harsh reality subject matter of neglected and abused foster children in South Florida. 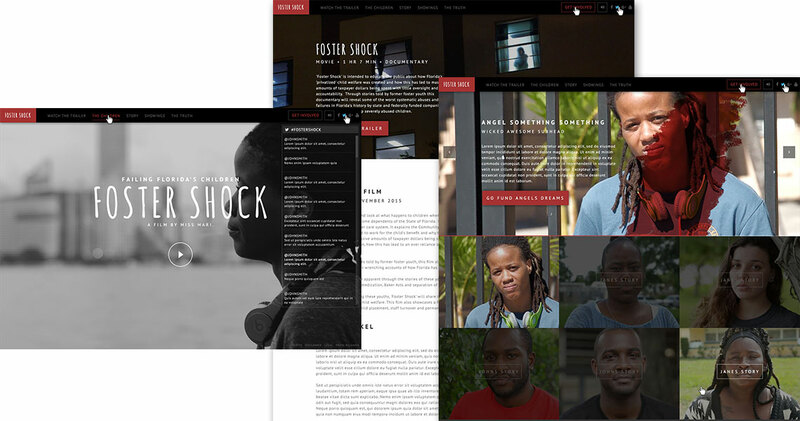 To create a website and print that will aids in serving these children was a challenge, but together with Mari Frankel we created a user-friendly informative website. A mediakit is a great tool to send all your essential information to media outlets and companies. 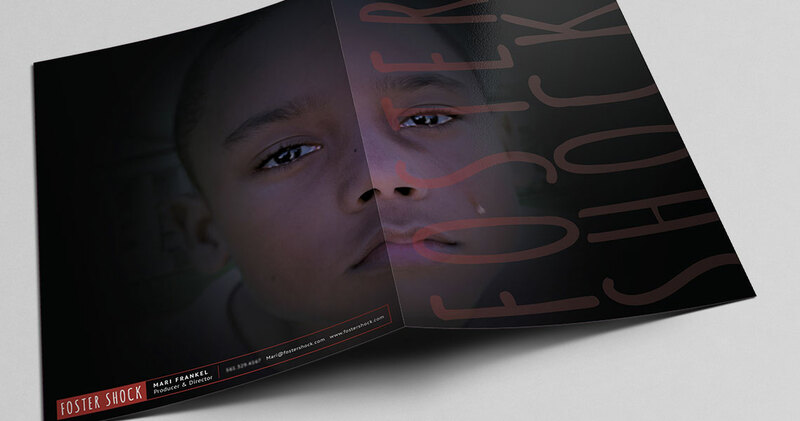 Exceleron designed a mediakit for Foster Shock that included the DVD with the Foster Shock documentary that showcases the problems that come with privatized foster care system in South Florida, 4 staggered insert flyers, a personalized cover letter and a business card. By making all information accessible to big outlets, we will spread the word on these horrible events and make a difference.